Thanksgiving is this Thursday in the US and it’s a time for reflecting on who and what we are thankful for in our lives, and hopefully expressing that gratitude somehow, in some way. We have similar events to thank our customers such as National Customer Service Week (first full week of October) and CX Day (first Tuesday of October). Companies also have their own ways of thanking customers such as conducting customer appreciation day events, giving discounts for future sales, rewarding loyal customers, and the like. I’ve often wondered why we aren’t thankful for customers and show customer appreciation every day. I believe it comes down to a couple of reasons. According to a study by the Rockefeller Group, 68 percent of customers will leave because they think you do not care about them. Second, we get so caught up in that “wow” moment of delighting our customers, that we forget to simply meet their needs and expectations. It’s not difficult – listen and engage with your customers so you can give them what they want. A favorite quote of mine by Yogi Bhajan is “gratitude is the open door to abundance”. When we live life with sincere gratitude and appreciation, we’re present to life and attract more of what we want. When we focus on what we lack, we create blockages and limitations. Saying “thank you”, genuinely with empathy, feels good. It feels good not only to the person receiving the thanks, but also the person who’s offering the thanks. There are studies that show gratitude leads to happiness, boosts employee morale and increases productivity. Similarly, when a company shows appreciation to its customers, those customers will show their appreciation to the company. When you show appreciation to your customers and personalize that experience for them, they know you are investing in them. They get the value you provide and are willing to pay more and stick with you in order to have that experience. Because they stick with you and you continue to build the relationship with them and learn what they want, they become easier to service. As customers become more comfortable with you and trust that you will deliver on what they want and give them a consistent experience, they will spend more with you. And, because they’re so comfortable with you, they’ll be your advocate and refer your business more often. According to RJMetrics, top customers spend 5x more per order, make 4x more purchases, and spend 30x more than the average customer. So, it definitely pays to appreciate your customers because in the long run, they’ll be loyal to you. Yet, customer appreciation is not a one-time thing. It’s a continuous activity that you must engage in consistently and frequently. So, show appreciation to your customers every chance you get. What Can Companies Do To Improve Customer Appreciation? Make customer appreciation a key tenet of your customer experience strategy. 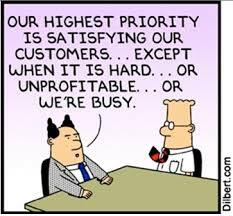 That might require a shift in your existing strategy and customer experience initiatives. As is the case with all things customer experience, it is an organization-wide activity that should be championed and driven by the C-suite and embraced by every employee. Insights you have identified from your voice of the customer program data is a good place to start. Determine what changes you can make and implement them. Just like great customer experience begins with engaged employees, customer appreciation starts with employee appreciation. 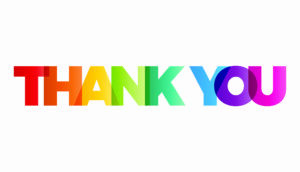 In a recent survey conducted by Monster involving 2,000 workers and 500 employers in the UK, 54 percent of respondents said that not being thanked in the workplace left them feeling unappreciated and 41 percent said they felt demotivated as a result. How do you expect to appreciate your customers if you can’t appreciate your employees? In your invoicing and packaging, include a note thanking the customer for their business. When you’re communicating with a customer to provide them information, resolving an issue, or any other reason, be sure to thank them for being a customer. You can show appreciation by actively listening to customers. Customer service reps who actively listen, are present with the customer, because they are placing the entire focus on the customer, and are able to hear cues of underlying emotions, so then they can respond and act in a way to enhance a great customer relationship or repair a broken one. Walking in your customer’s shoes creates empathy in you and your customer, and that serves to ultimately strengthen your relationships with your customers. The sky’s the limit here. Are there other customer appreciation activities that you have implemented that work well? Share them in the comments. I want to let you know that I appreciate you. You have a choice in the content you read. So, thank you very much for taking the time to read this blog post and this blog. It means a lot.